Register early: Space limited to 20 attendees! We are excited to welcome you back from the summer for our Coaching COP kick-off on Thursday, September 28, 2017. The feedback from our survey indicated that the Neuroscience of Change and Emotional Agility were both top priorities for you, so we’ve found a speaker who is an expert in both! • Understanding key levers that coaches can use to help clients make lasting change. Please note that due to library renovations, we are meeting in the third floor conference room of the library. Due to the room size, the first 20 respondents will be welcome. Please register by Friday, September 22, 2017 to reserve your spot and ensure you have a seat! We appreciate your understanding. A waitlist will be available once the first 20 seats are filled. If you are registered and unable to attend, please cancel via email to Denise or Karen below, so that we can offer your seat to someone on the waitlist! With over two decades of Organizational Development and Learning & Development experience, Audrey and her colleagues have trained and coached thousands of managers, leaders and staff around the globe. As a VP and Director in two rapidly growing organizations, Audrey works strategically, operationally, and collaboratively with her executive partners, peer and reporting teams. She hires, trains and manages expanding teams helping these organizations effectively accommodate the new demands to the business. With her Master’s degree in Organization Development Audrey focuses on Leadership and Teams, with special attention on women in the work environment. As adjunct faculty, she has taught leadership classes and coached executives at University of Missouri and Mercy college. In addition, Audrey has a Certificate in Applied Research and Application from the Applied Neuroscience Institute in California. She brings her neuroscience knowledge and insights to enhance her clients’ successes. She is also trained in Gestalt Psychotherapy and as a Master Hypnotherapist. Ms. Sloofman, has been a keynote speaker at several international conferences, where she has taught master classes in leadership and coaching. Twice she has been awarded the Manchester’s Who’s Who in Business and Management. She has appeared on The Today Show and numerous local and national TV and radio shows and has served as a board member of ASTD (now known as The Association for Talent Development). These events are sponsored by ATD Southern Connecticut Chapter (ASTDSCC) and are open to all interested practitioners. 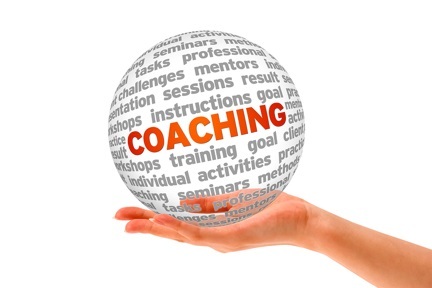 There is no cost for participation in the Coaching Communities of Practice for members of this chapter.